Why Every Entrepreneur Should Study Lil’ Dicky – Infinity Marketing – The Small Business Marketing Specialists! For all of my Entrepreneurs out there, this is a must see blog by Kian.Â Such a catchy song. Â And the fact he was able to do it without spending a dollar. Â Check it out and see what you can take away from this. 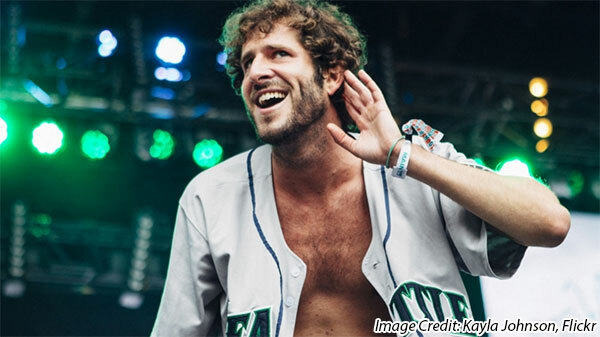 David Burd, also known as Lilâ€™ Dicky, grew up in an upper middle-class family in the suburbs of Philadelphia, graduated at the top of his class with a business marketing degree and spent nearly two years planning out the debut of his music career. The robust monetary support from his loyal fan base has allowed him the rare luxury to dictate the pacing of release dates and maintain complete creative control over the content, which is anything but corporate friendly. Subsequently, the decision to self impose a budget of $0 on his latest music video is an intriguing one, riddled with takeaways for anyone trying to build a product while bootstrapping. The song title, â€œ$ave Dat Money,â€ explains the concept of the video, which shows Lilâ€™ Dicky trying to shoot a music video for free. With the exception of some over the top product placement towards the end, we get a glimpse behind the scenes of how this up and coming 27-year-old artist manages to wrangle in one favor after the next, resulting in a not-so-shabby end product. Admittedly, Lilâ€™ Dicky is able to use his past body of work to demonstrate a certain level of authority and further sweetens the deal when he offers some of the participants onscreen mentions. In todayâ€™s world of digital video and YouTube publishing, his offers cost him exactly nothing and the undeniable belief in the quality of his work and resulting perseverance in getting freebies is inspiring for any startup founder. L-D, who openly highlights the shared initials with Seinfeld creator Larry David, knows how to make his rhymes universal. He sculpts comedy out of standard operating procedures in the business sector with references to the try-before-you-buy model of the hottest subscription services, sharing of Netflix credentials amongst family members, and the disproportionate number of incorporations in Delaware. Most of us canâ€™t help but relate to his message and that makes it much easier to press the share button. As a video producer, the single biggest lesson I took away from watching the interwoven pseudo documentary is from Mr. Burdâ€™s struggle with and willingness to ask for the participation of celebrities through cold calls. Thanks to the clip, which shows him composing an email to Kevin Durant, we can extrapolate how he cajoled a large cast of a-listers such as Sarah Silverman and Mark Cuban to not only appear in the video but even sing his lyrics. With this fearless attitude and the branding mastery itâ€™s not too difficult to imagine Lilâ€™ Dicky as a new heavyweight in mainstream entertainment before long. For now, we can all afford to learn a little something from this experiment.